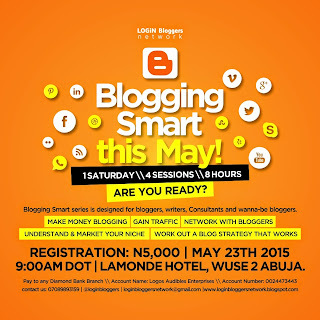 A change of date, yet a more compact and impactful blogging smart session! 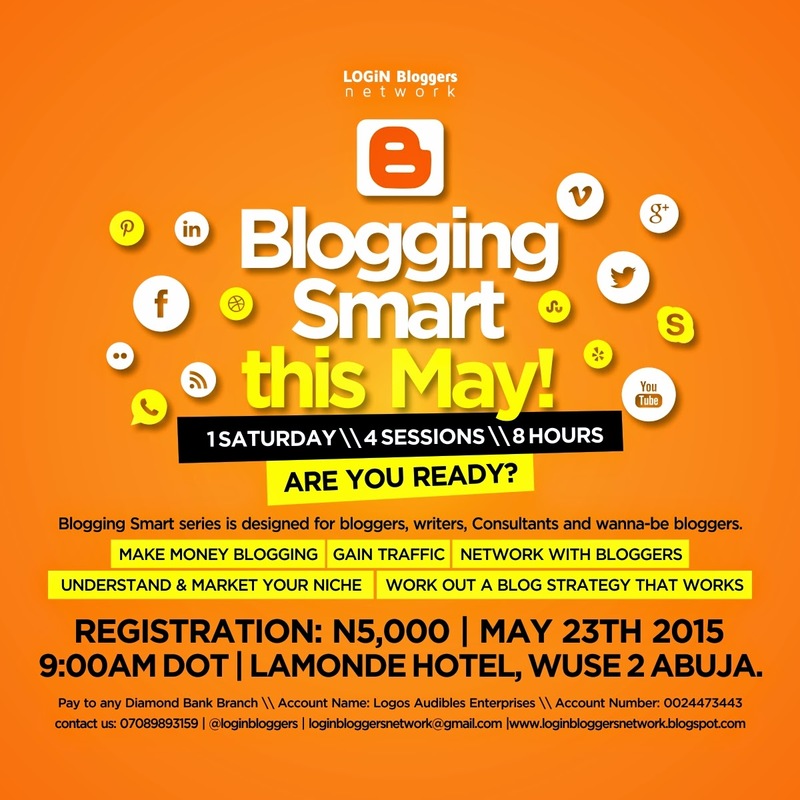 Join other writers, bloggers and information analysts to discuss Blogging and Earning as well as unlearn what you may not be doing wrongly as a blogger. 4 sessions, 4 facilitators, 1 venue on Saturday, May 23, 2015. Venue: Lamonde Hotel, 1 Buchanan street, Wuse 2 Abuja.